Can you please tell me what is your source or reference for determining the Hylegical places? My first source for the use of the Ascendant, Sun, Moon, Part of Fortune and Prenatal Syzygy as hylegical places for the guardian spirit/daimon name was my magic teacher Robert Zoller. While Ptolemy lists the Ascendant, Sun, Moon, Midheaven and Part of Fortune as the hylegical places, the use of the prenatal syzygy is also found in traditional sources, ie John Partridge's Mikropanastron at 83. I have found this system very useful as well as the others. Agrippa's book is very very very interesting. Many other websites are clueless on finding the name of the Holy Guardian Angel, this was the first step in the right direction. Those who are willing to go this far should also do the Rite Of The Bornless One as well. Both the name and the rite are one of the deepest experiences you will gain in life. But what if your degree is above 50 seconds? For example if the sun was at Aries 13 degrees 56 seconds - would that count as 14 degrees or 13 degrees in calculating the genius name? Ok, I can see that this is confusing, but we are not talking about some special degree measure for spirit names, but the difference between the 1875 and the 18th century. 13 Aries 0 to 13 Aries 59 is the 14th degree of Aries, thus 13 Aries 56 is in the 14th degree of Aries. Zoller made some really key contributions to the revival of traditional/medieval astrology, but has an incredibly messed up personal life. I keep trying to reconcile with him, but to no avail. How is it you assigned the vowels to the letters that way? Hebrew has no written vowels? 1. Given that Ascendant moves by a degree every 4 minutes (and Point of Fortune even faster), and very few people can say they know their time of birth down to 4 minutes or less. So results are going to be wildly inaccurate for most people. 2. How do you pick the degree for the most recent full/new moon before your birth? Again, moon moves rather fast, so it stays full or new for many degrees. The possible lack of accuracy of natal birth times is a problem for all natal astrologers. It's one of the reasons I like horary! The degree of the prenatal syzygy (ie New or Full Moon previous to birth) is straightforward because this is the degree when the conjunction (New Moon) or opposition (Full Moon) was exact. This is something that an astrologer can determine. Obviously this is not the only method. 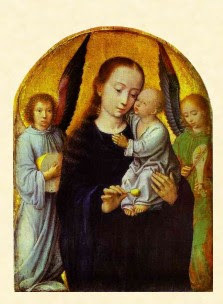 Speaking directly to your guardian angel, if you can, is clearly an excellent method as well and I am sure that there are others.